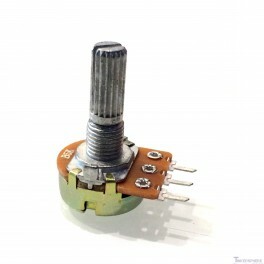 Use this B5K Linear Taper Pot to get a variable resistance rated to 5K Ohms when the knob is turned. Useful for Radio Transmitter repairs, guitar pedals, electric guitars etc. 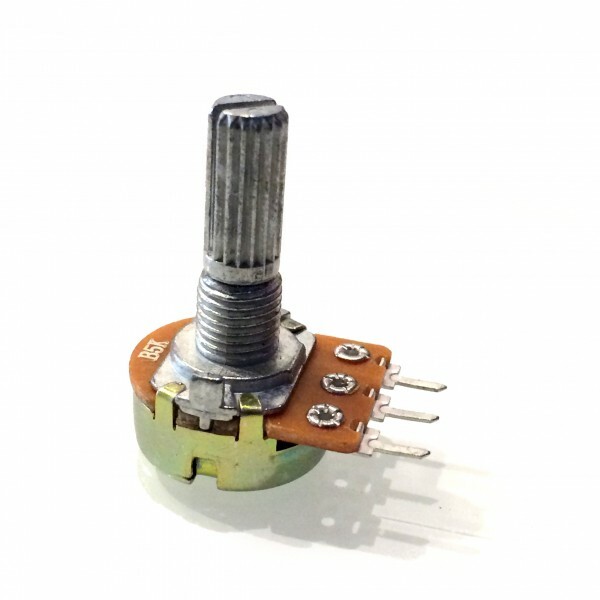 This B5K Linear Taper Pot is great for getting variable resistance! Just turn the knob and the resistance will vary on the 3 output pins. 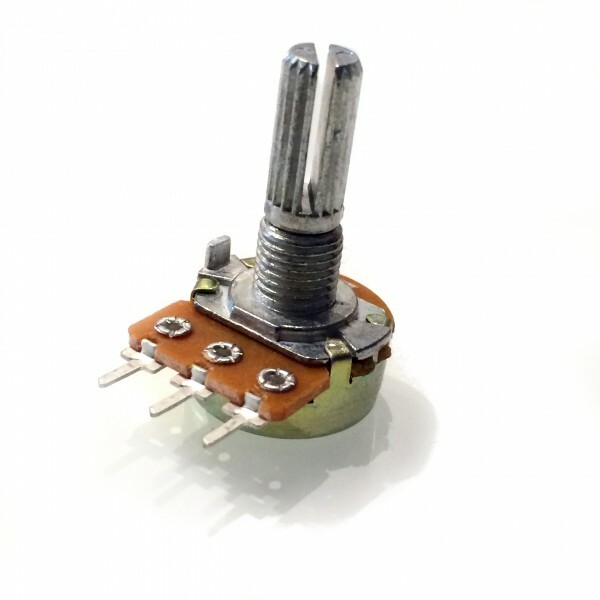 Since the pins are straight, it's easily mountable on a breadboard with the shaft being off the side.